Have any Steemians go to this beautiful rainbow mountain? Im still amazed with its beauty! I just went there couple days ago,never seen such a colourful mountain before. It looks like the red valley in Cappadocia but 10 times more beautiful & colorful. 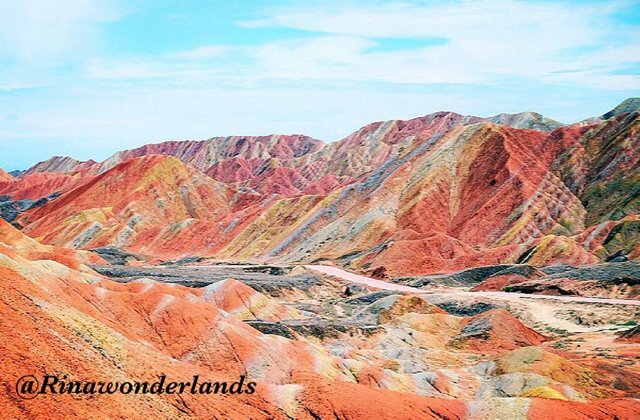 The rainbow mountains are part of the Zhangye Danxia Landform Geological Park in China. Layers of different colored sandstone and minerals were pressed together over 24 million years and then buckled up by tectonic plates, according to the Telegraph. And have also received a 2.00 percent upvote.